Who really murdered Bob Chappell? Veteran ex-detective and author of JFK: The Smoking Gun, Colin McLaren, uncovers disturbing new evidence that an innocent woman is in jail. Daybreak, Sandy Bay, Hobart, 27 January 2009. A yacht, the Four Winds, is seen listing low to the waterline. When police board the sinking vessel there is no sign of the owners, Bob Chappell and Sue Neill-Fraser but, disturbingly, they find blood and a knife. Bob Chappell is never seen again. The blood splatter leads police to the conclusion that he has been murdered. Remarkably, Sue Neill-Fraser is arrested, found guilty and sentenced to 26 years' imprisonment. May, 2016. Bestselling true-crime author Colin McLaren probes the notorious cold case that grips Australia. What he discovers shocks him. No body, no motive, no witnesses, a puddle of unexplained DNA liquid, undisclosed police documents, insubstantial scenarios - all lead him to believe Sue Neill-Fraser was wrongly convicted. He is not alone, as lawyers line up to help her. August 2017. Sue Neill-Fraser remains in prison. When questions are asked of her conviction, new witnesses are charged, including a lawyer, and unbearable pressure is applied until, fearing for his own liberty, Colin McLaren flees the country. Southern Justice lays out the evidence that should force a Royal Commission to reopen the case and exonerate an innocent woman. The guilty are still out there! 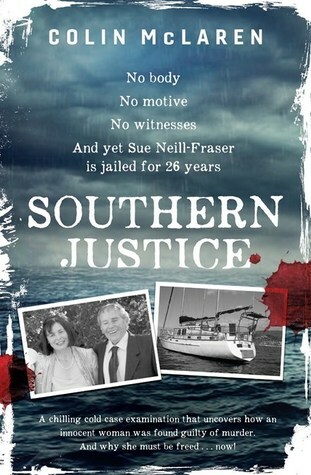 Forget watching Making A Murderer - read Southern Justice instead! Over the past year, I have been reading articles and hearing about the case of Sue Neill-Fraser and her conviction for murdering her partner Bob Chappell. I have read articles about her conviction, and about how an innocent woman has probably been put behind bars for 23 years. What I have read previously is so, so much less than what has really happened to this woman. I had such a visceral reaction as I was reading. I was gripping the book so hard as I turned each page, getting more angry, more upset and more frustrated with what these so called police officers and prosecutors have done to not only Ms Neill-Fraser, but to the people who were doing their own investigation. Gah, even writing this review I am getting frustrated again. What I really liked about this book was the writing. 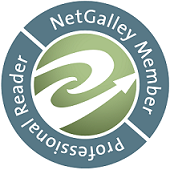 Often when you read true crime books, the writing is very dry and hard to get into the story, hard to read. This was so not the case with Southern Justice. I was drawn right into the unbelievable, yet sadly true story. I felt I was there with the writer as he was investigating. I hope, that with the TV documentary Undercurrent now showing, and the more media attention this case receives, that something can be done to see justice served. Colin McLaren was one of Australia's best detectives' he travelled the world on high-end investigations during the 80s and 90s. He faced down the underbelly of Australian crime and his work has been subject to many police genre documentaris and television series. A film of his own life, based on his hugely successful first book Infiltration, the true story of his efforts as an undercover cop, was made in 2011. Colin writes constantly and is a regular advisor to TV and film productions. His book on John F Kennedy's death, JFK: The Smoking Gun, was an Australian best seller. He is an Emmy judge and highly respected in the US as well as Australia for his investigative journalism. Southern Justice is his latest work - and his most important to date.